Are you stressed, overwhelmed or feeling anxious right now? Do you feel like you're in a pressure cooker and need to release some tension? Or do you simply know about the rejuvenative benefits of Yoga Nidra and want to take part in a little R&R? If so then join us for this free Yoga Nidra class. When successfully practiced, Yoga Nidra helps calm the mind, teaches us how to let go rather than hold on, calms anxious energy, diminishes depression, increases access to inner knowledge and creativity, develops the memory and deeply relaxes the entire body. 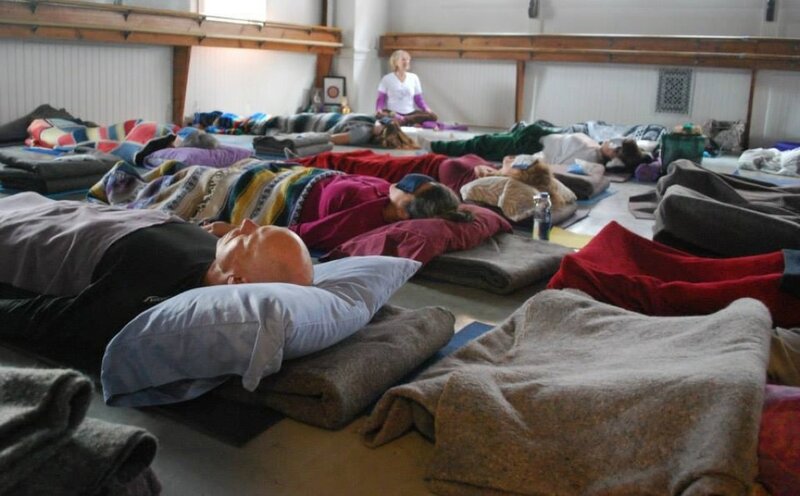 Yoga Nidra Master, Stacy Kamala Waltman is adept at working with subtle energy systems called "koshas" in the scientific yet spiritual practice of Yoga Nidra. The best part of Yoga Nidra is that you don’t have to do anything other than lay in an easy and comfortable relaxation pose (called Shavasana), listen to Kamala’s magical voice, and mentally follow her instructions. 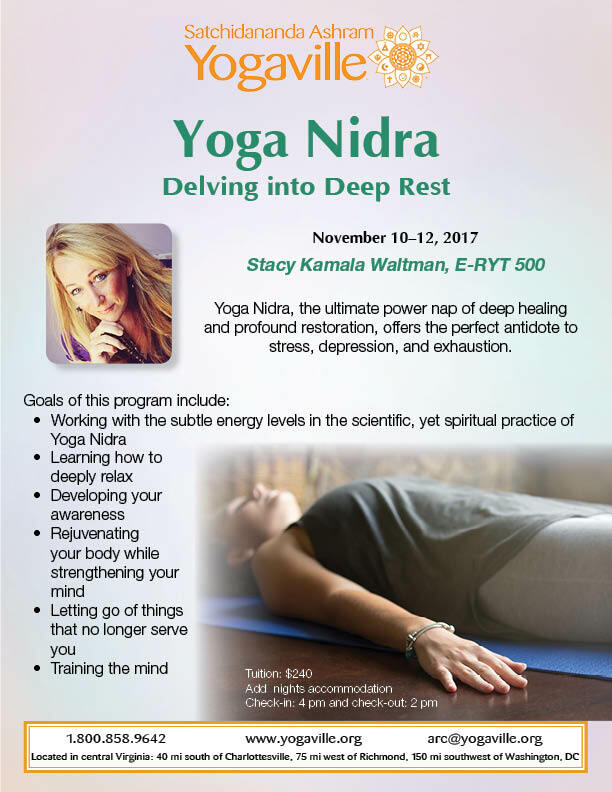 TWO YOGA NIDRA IMMERSION CLASSES OFFERED!